The description column show between brackets the number of switch motor movements. 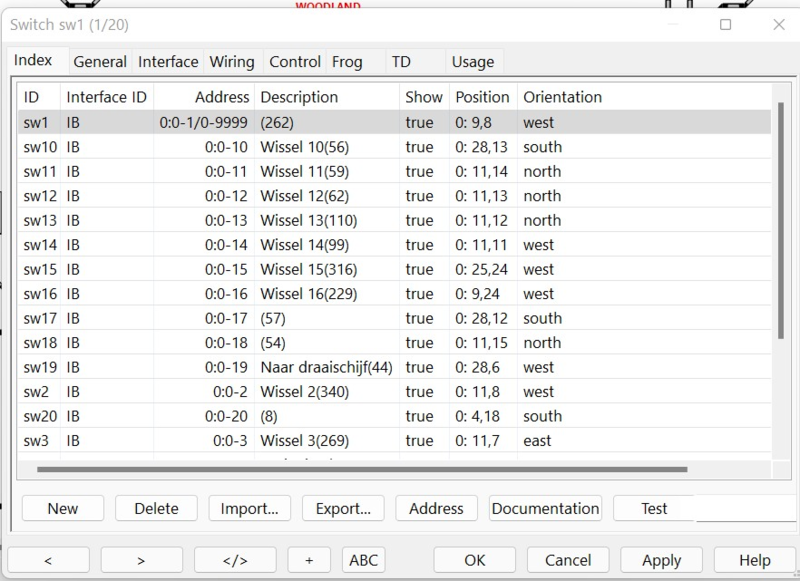 Automatically set the address for switches with address zero. It will scan the list of switches to detect the highest address and will use that as offset. Opens the default HTML browser to show a listing of all switches for printing. This toggle button starts the selected switch internal test function to flip every second or every control Delay this switch.